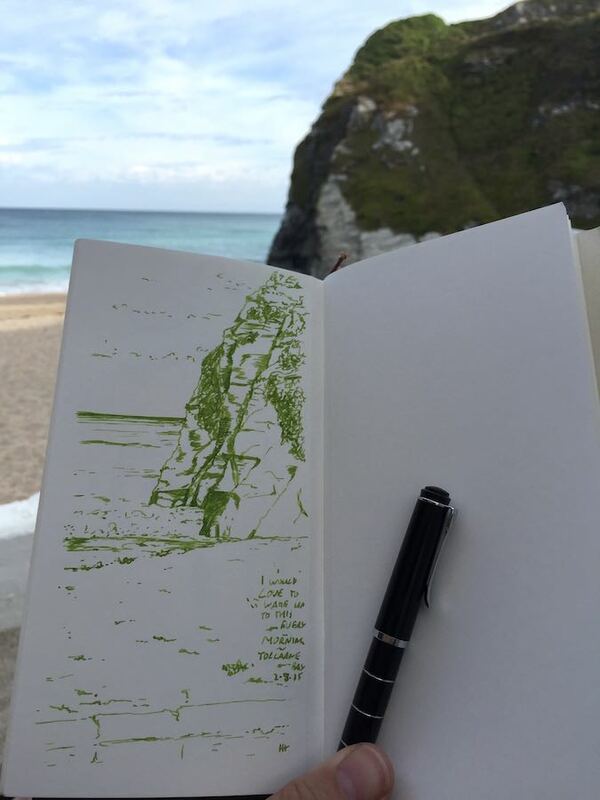 Newquay Cliff (sketch) – Pens! Paper! Pencils! The beautiful North Cornwall coast. Somewhere across that ocean is Canada.